A very peculiar region geographically, mostly associated with the basin of the Yenisei River and Lake Baikal, but also including the upper reaches of the Lena and several rivers forming Amur. These are the republics of Buryatia, Tuva, Khakasia, Taimyr and Evenk Okrugs, the Krasnoyarsk Territory (Krai), the Irkutsk and Chita Regions. 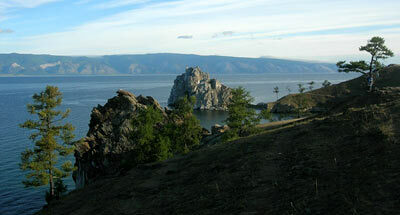 The most unique feature of the region is Lake Baikal, the deepest lake on the Earth. 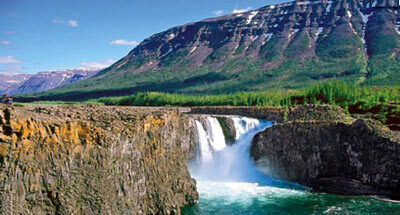 Its maximal depth exceeds 1600 m. This is a natural storage of huge reserves of pure water. Unfortunately, the Baikal pulp-and-paper and Selenga pulp-and-board integrated mills continue to pollute the most valuable lake-sea. 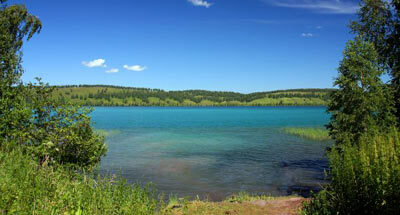 In addition, numerous wastes of Buryatia plants (Ulan-Ude, etc.) are discharged into Selenga River. The new city of Severobaikalsk, which originated in the 1970s due to the construction of the Baikal-Amur Railroad also contributes to the pollution of Baikal. The entire Baikal is encircled by the chains of the mountain systems of the Cis-Baikal and Barguzin ranges, Khamar-Daban, the spurs of the Vitim Plateau. It is known by the fact that it receives 336 different-size rivers, and it is only the Angara-river, one of the Yenisei tributaries that flows out of it. The biggest Baikal tributary (Selenga River) rises in Mongolia. The unique flora and fauna of Baikal features 1800 species of various plants and animals, two thirds of which are endemics (i.e. they do net occur anywhere else) Their best known representatives are the Baikal seal, the Baikal variety of the Cisco and gobies, the Baikal oil fish, Epischura crustacean and many other dwellers, whose life is closely associated with the water body. The Cis-Baikal and Trans-Baikal taiga are renowned for abundance of the most valuable subspecies of the sable (Barguzin, Chikoi, etc. ), high numbers of brown bear, red deer, roe deer, the music deer, the presence of wild boar, reindeer, tarbagan marmots, forest game and other game animals. In some Trans-Baikal areas, the strictly protected bighorn sheep has remained, and in the region of the Torei lakes and in the river valleys, numerous rare birds dwell. 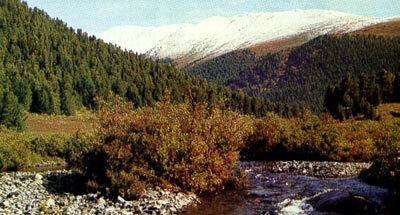 West of the Baikal are situated the ranges of the Eastern and Western Sayan (limit altitude 3491), with a pronounced vertical zonality, including the zone of alpine bald mountains (golets). Large areas there are taken up by particularly valuable forest species of the Siberian pine, which is more frequently referred to as "the cedar". The cedar forests abound of game mammals and birds. The humans gather there large amounts of nutritive seeds of the cedar (cedar nuts), which are traditionally liked by the residents of Siberia. 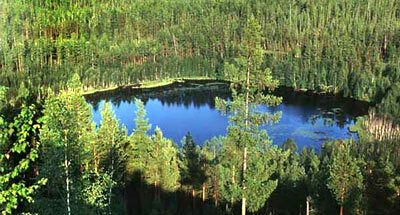 The particularly vast massifs of such forests are situated in the southern Trans-Baikal Region at the sources of the Yenisei. Tuva is very peculiar, where in small space one could see a diversity of landscapes — from sand barkhans (dunes) and dry steppes to diverse mountain forests. One can sight domestic camels in the south of Tuva along with tame reindeer on which the local indigenous people -Tuvin-Tojin and Tofalar (previously referred to as Karagas) set out to hunt. North of the Sayan, within Tuva and Khakasia, piedmont steppes are distributed, which are widely used by livestock breeders. These are replaced by pine and mixed forests, which gradually turn again into a typical dark-coniferous taiga, formed by the cedar, spruces, firs and other species. 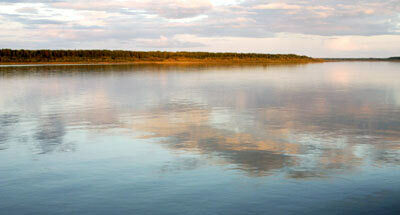 The wide and rapid Yenisei, the main river of the Region is a sort of boundary between the Western and Eastern Siberia. The left-hand bank of the river is represented by the lowland boggy taiga, and east of its right-hand ("stony") bank begins the low Middle-Siberian Plateau, situated in the basins of big Yenisei tributaries (Podkamennaya and Nizhnyaya Tunguska). 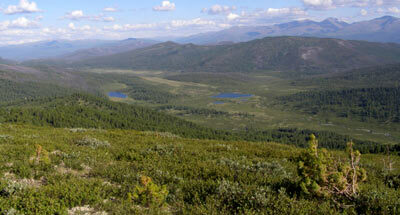 Below, the Turukhansk taiga is replaced by forest-tundra, and subsequently turns into a zone of typical northern tundras. In the northern part of the Region, south of the Taimyr Peninsula are peculiar and picturesque mountains of Putoran, renowned for their mountain lakes, rapid rivers, abundance of reindeer, diversity of birds, and particularly valuable fish (taimen trout, broad whitefish, grayling, etc.). Taymyr also has mountain systems (Byrranga, etc. ), but there are no more forests there. The Region is rich in nature monuments.